Not everyone buys wine in cases, but we all like to save money. Therefore, we've created the "Demi-sac." Essentially it's a half case of wine, in a reusable wine bag, discounted even more than a case. Need a gift for the party host? Cooking yourself and don't want another detail to think about? GET READY, GET 6, GO! Buy a demi-sac today! 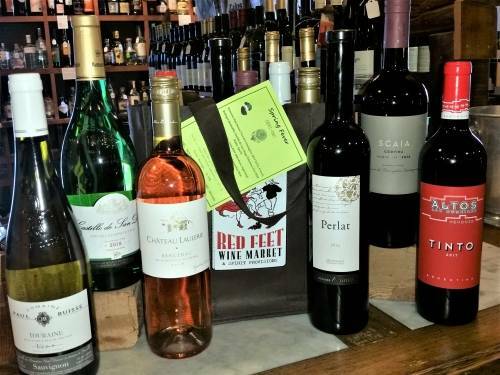 We have 6-packs with various themes so that you can study a certain grape, wine region or aspect of wine tasting. 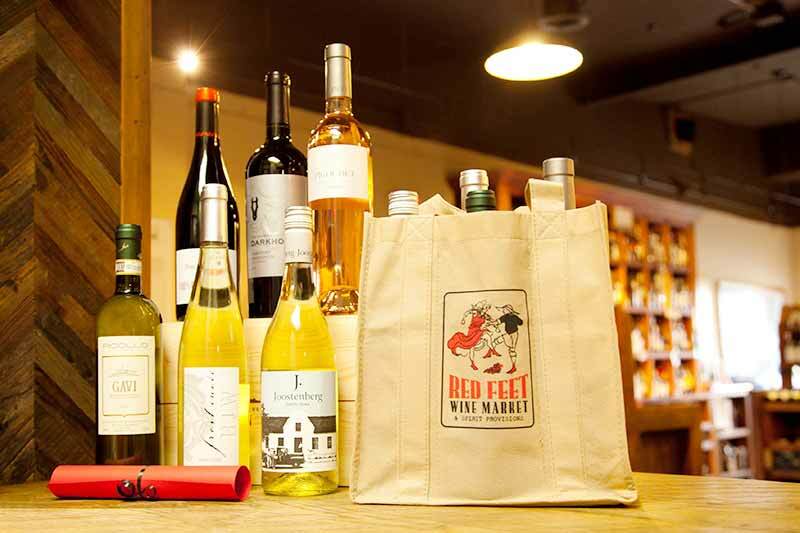 Additionally, we always feature our monthly demi-sac which is filled with seasonal wines, usually geared toward an upcoming holiday, and meant to pair with the traditional foods of the moment. Our demi-sacs hold many of our staff's favorites, and are delicious, approachable choices at a great savings.